2 Bedroom Semi Detached Bungalow For Sale in Stockport for Asking Price £260,000. An immaculate two double bedroom semi detached bungalow. 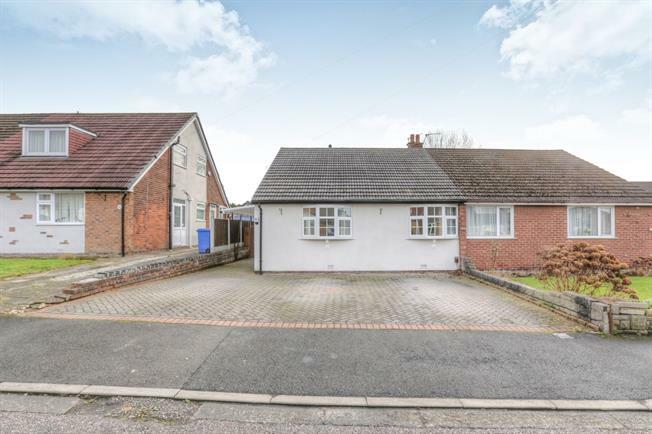 This semi detached bungalow is in pristine condition and would appeal to someone looking for a hassle free ready to move into home. The home offers bright open and airy rooms , there are two double bedrooms and stunning new fitted bathroom. The bungalow offers an extended spacious kitchen which overlooks a large easy to maintain garden to the rear a superb space to be able to entertain both family and friends. This bungalow also benefits from having off road parking a detached garage and is located in a quiet cul de sac. A stunning ready to move into home, extended bungalow in a prime location with off road parking and detached garage..